Treat your boss well. It’s always the other way around, isn’t it? 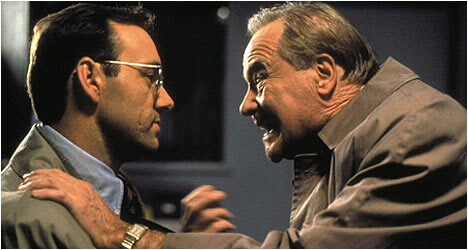 Kevin Spacey had it rough as the sales boss in Glengarry Glen Ross. Lots of bosses have it rough. Nope. It’s all about what the bosses should do for their employees. How to be a better manager, coach, teacher, helper or leader of people. We have to turn the tables. We’re missing chances to make this third of our lives that is work, just a little bit better. Treat your boss as if you know they once “carried the bag” and like you, had some rough sales quotas to hit, impossible project deadlines to meet or tough service issues to handle. They had those then and unless I’m missing something, still have them today. Treat your boss as if you know they have a hard time sleeping some nights worried about you or your colleagues, or the business, or even the systems. Truth is, the lack of sleep isn’t always because they were out too late the night before. Treat your boss as if you know that being a leader or a coach of people (and some bosses in this sales business have 20 + direct reports) is one of the toughest jobs anyone could ever do. Never doubt for a moment it isn’t, because it is. Treat your boss as if just like you, they have a family at home, maybe a sick child, or an ailing parent or a bill they are worried about having to pay because without a doubt, they do. Treat your boss as if you appreciate they are often anxious and worried about what they are saying to you or the team or even what they will say or will do. They know they are never ever not on stage and that everyone is always watching. Treat your boss as if you know they took their leader job because maybe they get real joy out of helping someone turn “just a job” into a career or to take a team or a business from “just good” to “darn great”. Leaders yearn for that job satisfaction too. A former boss liked to ask us, “What’s your #1 job?” And our response was supposed to be “Make you look smart.” He was half-joking, but Mike was right — make your boss look good and s/he’ll take care of you, too.